This level has hard difficulty as you need to break lot of blockers to take ingredients to bottom. For this level try to play from bottom and break blockers and as ingredient appear try to play near to it to break blockers down to ingredients. 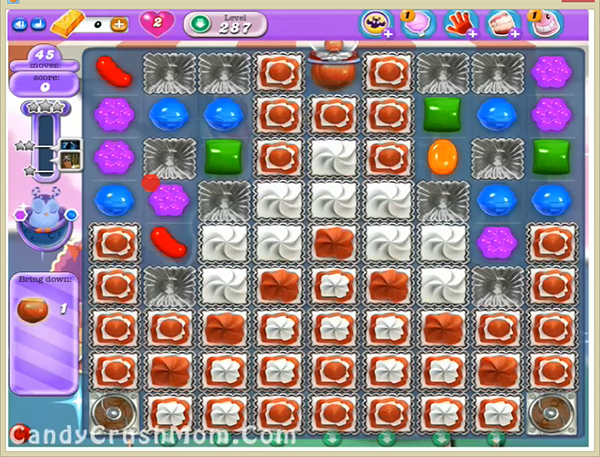 Use special combos and candies to take down ingredient more fast to complete this level withing 45 moves. We completed this level with 86280 score using same trick that we share above and got three star score plus complete this level just before single move remaining.